Many people have heard about Lumineers and their power to fully restore a smile in just two painless and easy visits. But to some, this sounds too good to be true. 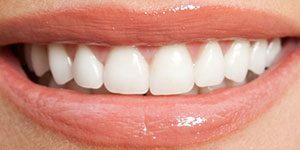 Usually, a full dental restoration involves teeth preparation, anesthetics, extensive and uncomfortable procedures, a lot of time spent in the dentist’s chair, numerous appointments and a lot of money. Well, our Lumineers Lauderdale by the Sea FL experts beg to differ. Let’s take a look at what Lumineers’ application and procedure involves so you can make an educated choice regarding your dental health. First things first, your designated doctor will make an evaluation of your dental situation. Your doctor will decide if Lumineers are the best solution to restore your smile and offer you a straight, reshaped, resized, white, even, and beautiful teeth. Our doctors are all licensed, certified, and skilled in the latest procedures and advancements in cosmetic and restorative dentistry. They undergo permanent education and training so they can offer you the most advanced dental treatments as possible. Once the doctor decided to offer you a full Lumineers-based restoration, he will then take a very precise mold of your teeth. During this first meeting, you will decide together with the specialist the color of your future smile. Our specialists have years of experience and they work only with the latest and best materials and equipment to offer you impeccable services. Your doctor will send your teeth mold to a certified Lumineers laboratory. We only work with specialized and licensed laboratories so you can be sure your Lumineers will turn out perfectly. Once the Lumineers come back from the lab, your dentist will polish, fine-tune and fit them to make them perfect. During the second visit to your doctor, he will place and bond these thin yet resilient shells on your teeth, making sure they fit perfectly and feel natural. There will be no drilling, trimming, shots, or alterations of your teeth structure, so you will be out of the office in no time, smiling out loud! Should You Choose Our Lumineers Lauderdale by the Sea FL Interventions? If you listen to our patients, you definitely should! We have some of the highest ratings in the field for our patient care, long-lasting dental interventions’ results, affordable prices, and highly esteemed staff! We will turn your ideal treatment into a reality, exceeding your expectations!